While epiphenomenalism—i.e., the claim that the mental is a causally otiose byproduct of physical processes that does not itself cause anything—is hardly ever mentioned in philosophical discussions of free will, it has recently come to play a crucial role in the scientific attack on free will led by neuroscientists and psychologists. 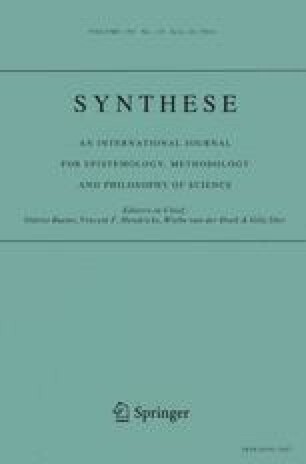 This paper is concerned with the connection between epiphenomenalism and the claim that free will is an illusion, in particular with the connection between epiphenomenalism and willusionism, i.e., with the thesis that there is empirical evidence for a thoroughgoing skepticism with regard to free will that is based on the claim that mental states are epiphenomena. The paper discusses four arguments for willusionism that in some form or other appeal to epiphenomenalism and argues that three of them can be discarded relatively easily. The fourth one, based on Daniel Wegner’s theory of apparent mental causation and his claim that free will is an illusion because the feeling of conscious will is epiphenomenal with regard to the corresponding voluntary actions, is dealt with in more detail. The overall verdict is negative: there is no empirical evidence for any kind of epiphenomenalism that would warrant the claim that free will is an illusion. Whatever it is that makes free will the object of contention between neuroscience and philosophy, epiphenomenalism provides no reason to think that free will is an illusion. Work of the author was supported by an Opus Magnum grant of the Fritz Thyssen Stiftung, AZ 10.12.5.001.